The Exmoor ponies had taken to the high ground this morning after all the rain on Friday night and Saturday. Lovely sunny spring morning today though. After being spooked by poachers the cattle have been gathered up and returned to their correct paddocks. They have been temporarily grazing a paddock which we wouldn’t normally graze. Apologies to those who regularly use the paths through that part of the reserve for the disruption. 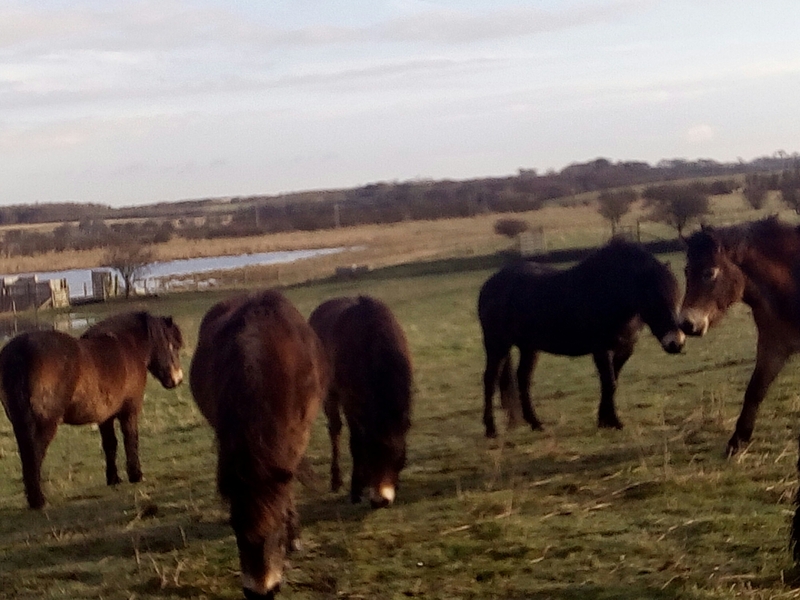 The animals have arrived to start work on the new overwintering wader site near Cambois. 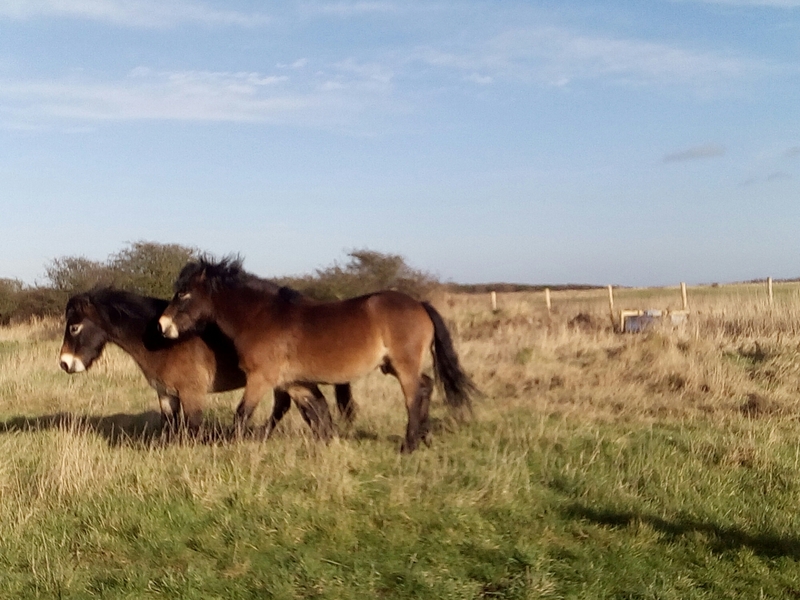 In this case 2 Exmoor ponies. They will soon be followed by others as well as some cattle and sheep. 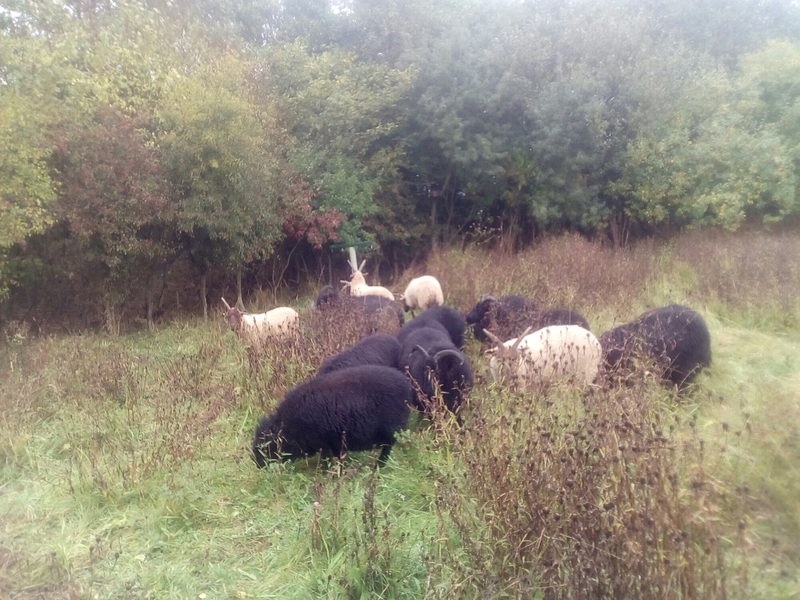 When being moved, by the volunteers at Hauxley, to a new paddock earlier in the week the Manx Loaghtans (the brown sheep) got all the way to the gate and then decided they preferred where they had been and ran all the way back their old field!!! This afternoon after a little persuasion from Jess, the collie, they were reunited with the rest of the flock again. 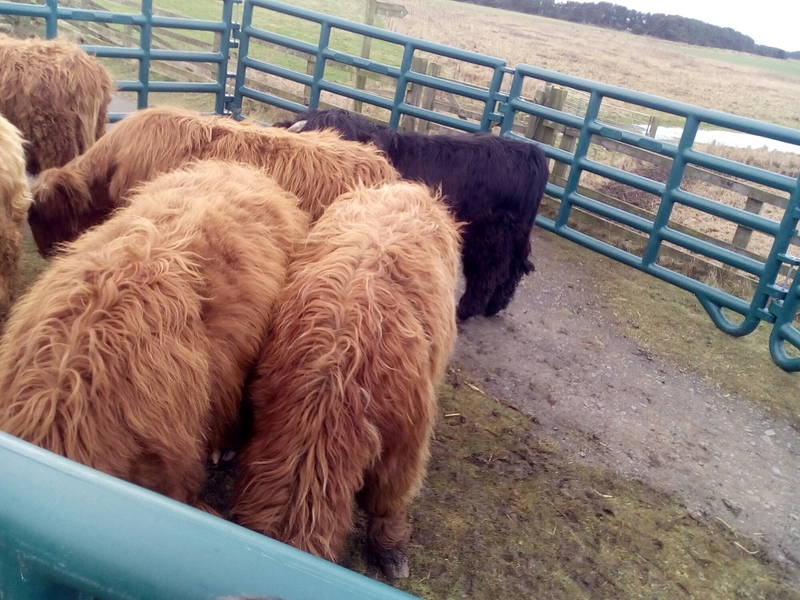 A bit more tricky than usual checking the Galloway cattle this morning, fortunately they like to come and see us and check out what we are up to. 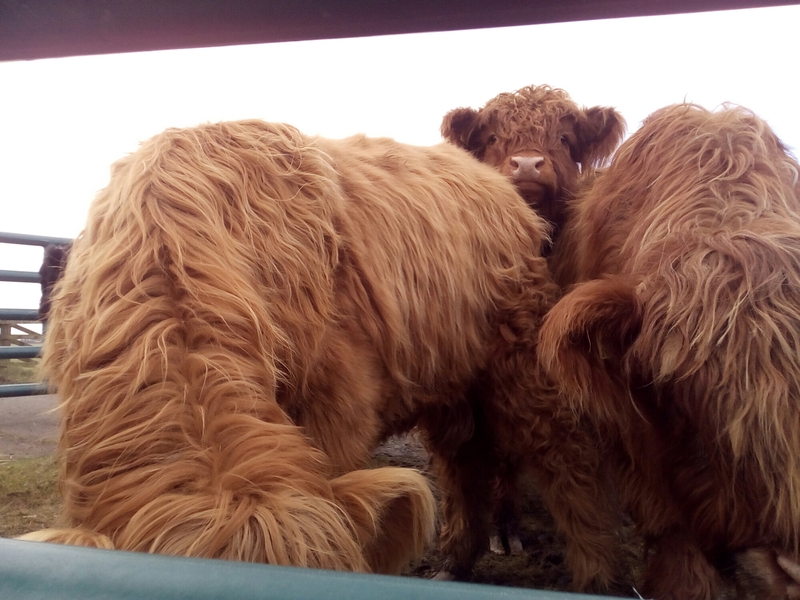 Some of our Highland cattle on the move to a new field. to get there they had to walk 3/4 mile across 3 hay fields and down a track.Once on the move they strolled along happily but did enjoy stopping for a munch on the patches of red clover growing on the way. Thanks to John and Rebecca for their help.